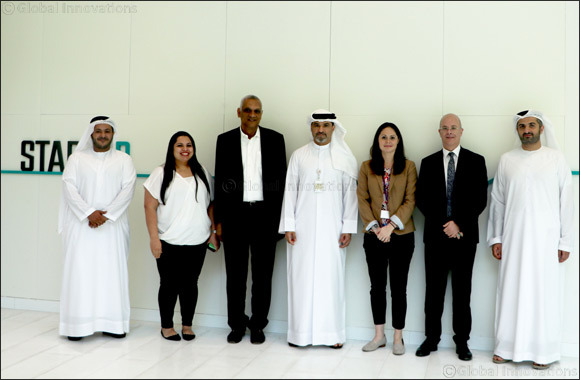 Abu Dhabi, July 4, 2018: startAD, the innovation and entrepreneurship platform anchored at NYU Abu Dhabi, has partnered with Khalifa Fund for Enterprise Development for the first time to present an updated version of Ibtikari (My Innovation). The fourth edition of Ibtikari will be an intensive six-month incubator aimed at helping UAE nationals advance their technology startups. Scheduled to take place between September 30, 2018 and March 31, 2019 at NYU Abu Dhabi, Ibtikari is open to startups with at least one UAE national partner. Five teams will be identified through a rigorous evaluation process which will include an online application and in-person interview. They will be selected based on their proposed concept, the project’s potential market reach, as well as its prototype or proof of concept. Applications are now open and available on this website [ibtikari.startad.ae]; the final deadline is August 31, 2018. The new structure will include three distinct phases: mentorship, network introductions, and investment evaluation. Participating teams will initially be required to attend a series of training sessions and one-on-one meetings with Ibtikari’s mentors. The program’s organizers will then facilitate introductions to key corporate partners locally and at Silicon Valley, prospective clients, and experts in the industry to help startups expand their network and advance their businesses. Participants will also be considered for potential financial and non-financial support from Khalifa Fund if they meet the fund criteria. The program’s third phase will focus on investment evaluation; startAD’s investment advisors will schedule regular meetings with the teams to provide detailed feedback on their business model and external investments it could likely attract. The five selected finalists will be given access to startAD’s prototyping facilities and coworking space at NYU Abu Dhabi throughout the duration of Ibtikari. Ibtikari is one of Khalifa Fund’s core initiatives supported by startAD, which aspires to strengthen the entrepreneurial ecosystem in the UAE and enable the development of technology startups in emerging and significant local industries such as energy, aviation, logistics, fintech, and smart transportation.